August 2016 saw the long awaited completion of our new purpose built tool room. Occupying 540m2, it provides a spacious new home to the whole engineering department. 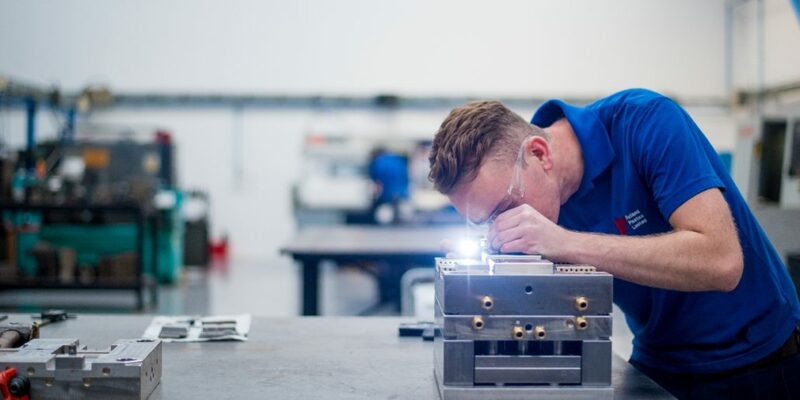 This innovative environment of close cooperation between our toolmakers and maintenance engineers benefits the sharing of expertise across tool manufacture, modification, diagnostics and repair – enhancing the service we offer to customers, ensuring their tool operates at its optimum state and performs faultlessly. 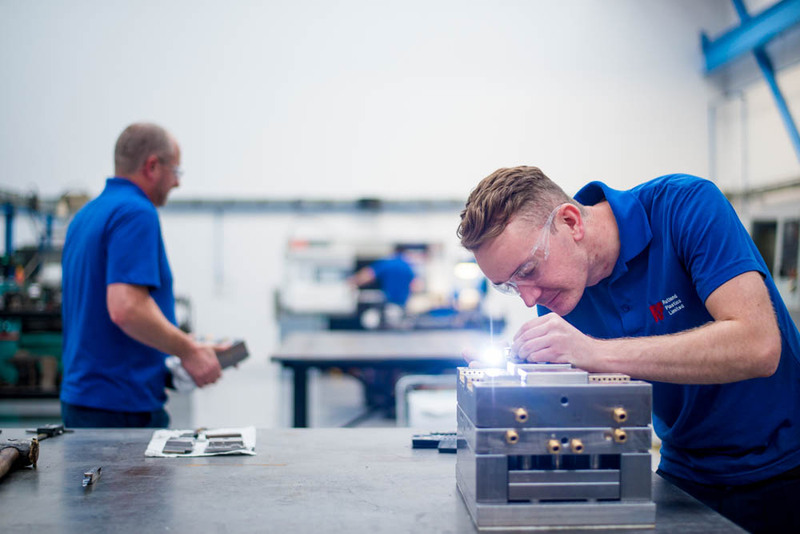 Providing in-house tool design and production has been an essential feature of Rutland Plastics’ end-to-end service. 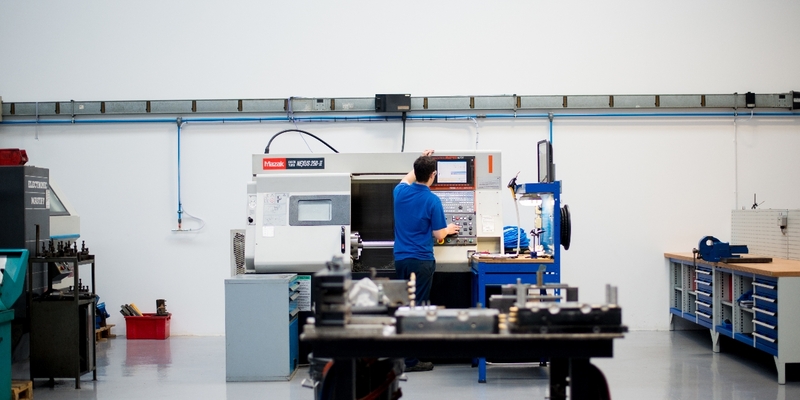 Company growth combined with meeting the increasing demands of new and existing customers sees significant investment in some impressive new tool room equipment; a MAZAK milling machine with extra features accompanied by MST shrink fit tool holders to provide higher rigidity and so greater accuracy. Also a 5 tonne Kone overhead crane has been installed for ease and safe movement of heavy jobs around the shop. Technical Manager, Carl Martin commented “the investment in new machinery has increased the capacity and productivity in the tool room multi-fold, and to have this all under one roof gives real edge to our efficiency”. With the future in mind, the new tool room is also equipped with host of environmental features. Lighting is sensor controlled, automatically adjusting to changes in daylight and room occupancy, and daylighting roof panels flood the work space with natural light enhancing working conditions.